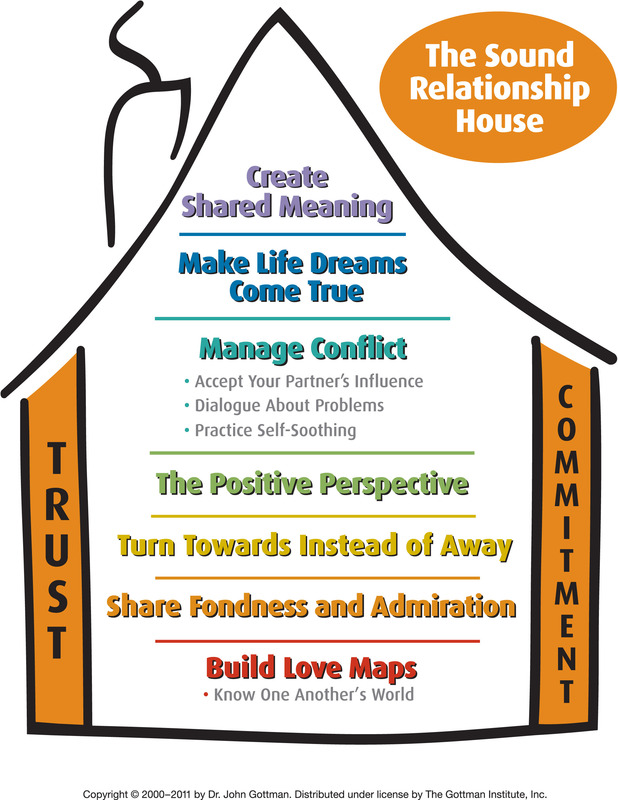 We continue The Sound Relationship House Series today with the third level of Dr. Gottman’s model: Turn Towards Instead of Away. The strongest relationships (and homes) are built from the ground up. According to Dr. Gottman’s 40+ years of research, one of the greatest predictors of your relationship’s success is your ability to turn towards each other, constantly developing your bond by making an effort every day to reach out to your partner and accept their bids for emotional connection. We have found that the majority of fights in relationships are the result of turning away from and against these bids. Turning away and against are related to both suppressed negativity (sadness, whining, stonewalling) and being in the attack-defend mode (anger, criticism, contempt, defensiveness, belligerence). Playful bids and enthusiastic efforts to turn towards each other result in heightened levels of positivity during conflict discussions. They also help you to build up your emotional bank account, maintain a strong and healthy bond, and bring the fire back into your romance. You have just woken up and your partner is lying next to you. Roll over, put your arm around them, and tell them how thankful you are that you get to wake up next to them every day. Your partner is leaving to go somewhere. Tell them to come see you before they go. When they come to see you, give them a six-second kiss.